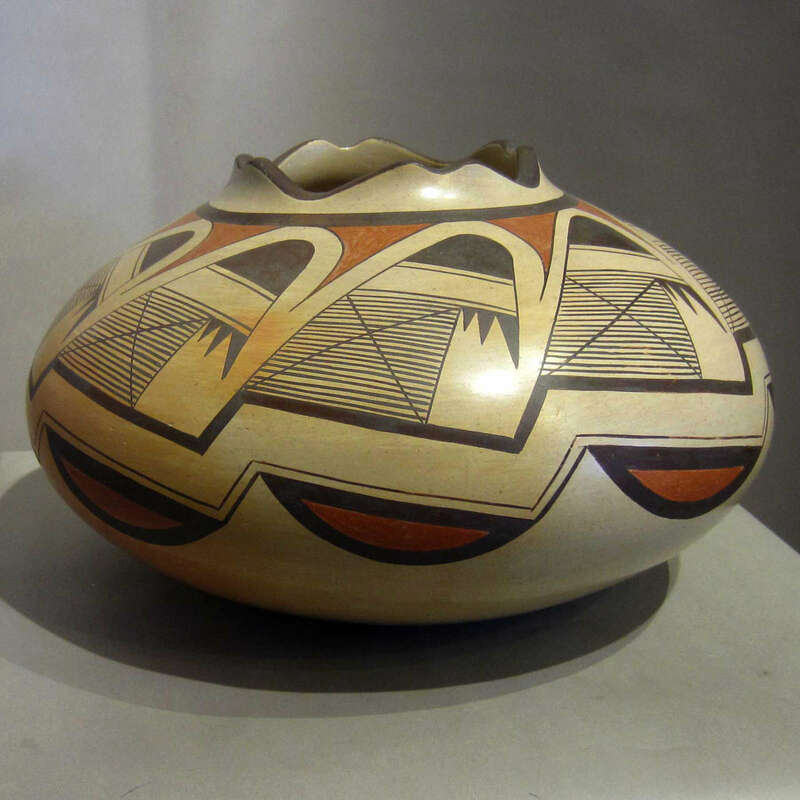 Thomas Polacca (1935-2003) was the grandson of Nampeyo of Hano and he started learning to make pottery from her at a young age. Tom's mother was Fannie Polacca Nampeyo and there were several well-known potters among his siblings, including Leah Nampeyo, Elva Tewaguna, Tonita Nampeyo and Iris Youvella Nampeyo. 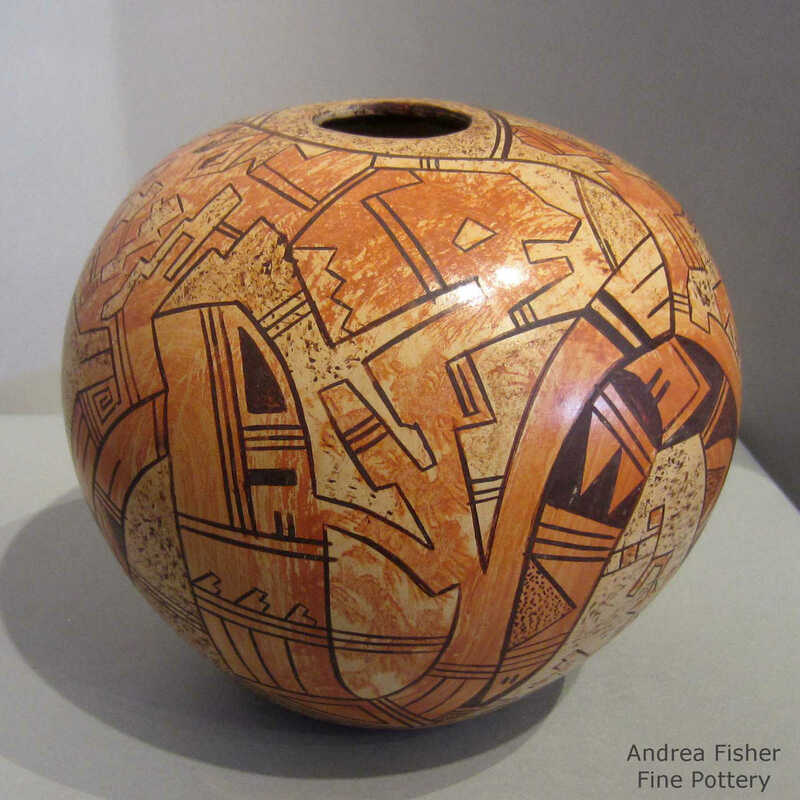 As the first Hopi man to make pottery, he continued Nampeyo's tradition of bringing innovation into Hopi pottery. 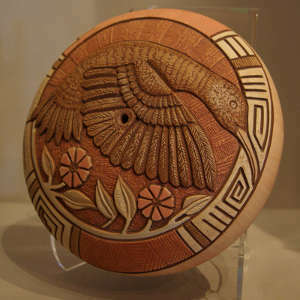 Tom was a pioneer in the deep carving technique that is often seen these days, using it himself to develop pottery depicting Kachina’s, the Anasazi and animals depicted by Kachina’s in mural-like scenes of Hopi religious rituals and ceremonies. 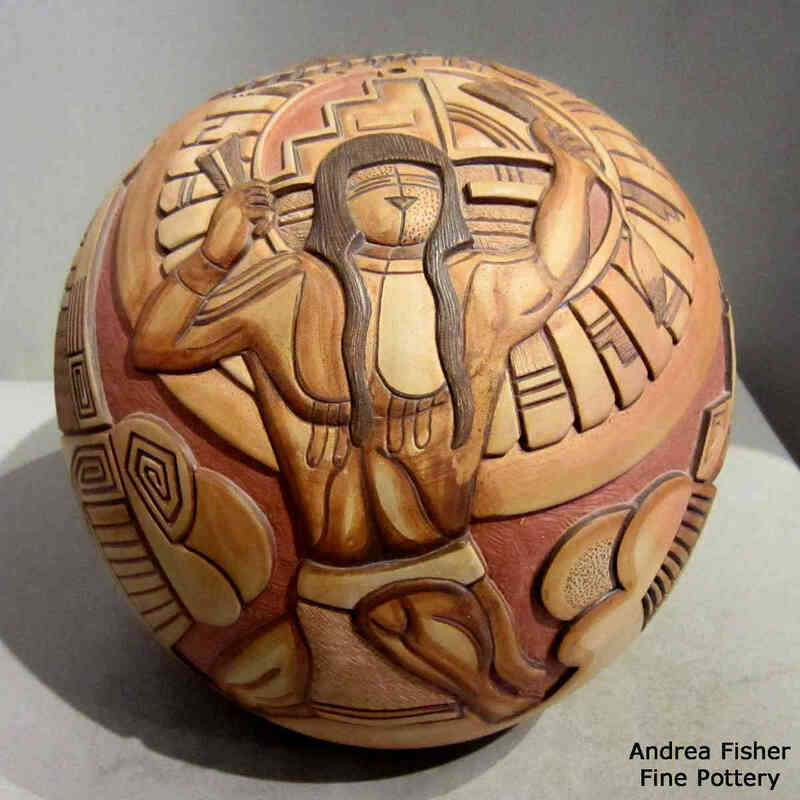 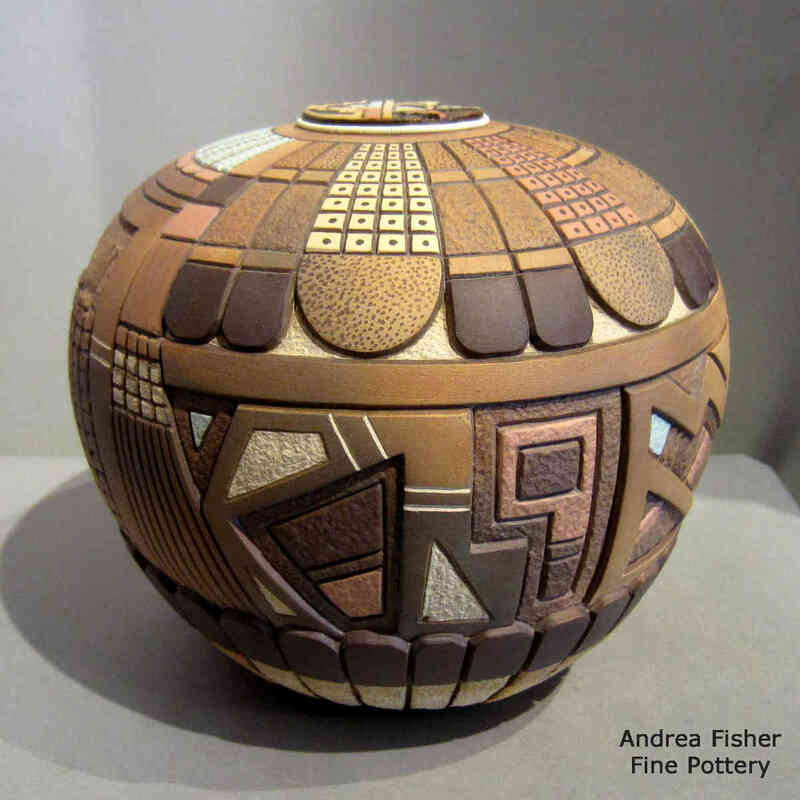 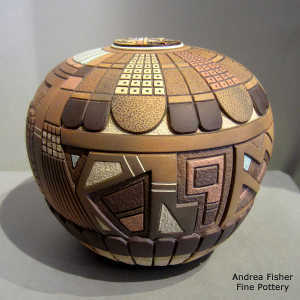 His pottery is also recognizable by his placement of symbols and regular use of the themes of storms, clouds and eagle feathers.